Pomeroy Grain Growers expanded their area of service by opening Farm Commodities in Colfax, Washington in 1993. 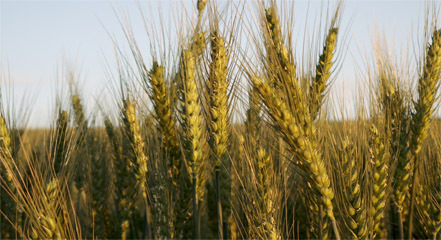 Farm Commodities is a division of Pomeroy Grain Growers which is a farmer-owned Co-Op. Our members range from all over Garfield County, Whitman County, Spokane County and as far away as Boundary County in Bonners Ferry, Idaho. Our knowledgeable staff consists of Bryan Bezdicek and Lexi West. Both are here to merchandise your SWW, Club, DNS, HRW and Barley. In a competitive market, their goal is to get you top dollar for your grain by using both fixed price contracts as well as hedge to arrive contracts. Grain is delivered to our first class terminal located at Central Ferry. Your commodities will be handled promptly and efficiently with our two unloading pits, which will put you back on the road quickly. LET US BE YOUR GRAIN COMPANY!